Deux ans de guerre au Yémen, deux ans de trop. 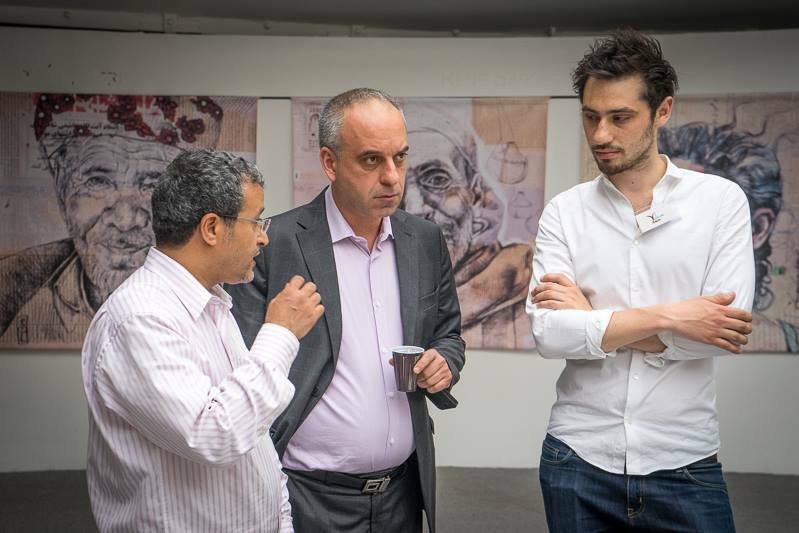 Salam For Yemen vous donne rendez-vous le samedi 25 mars à 16h sur le Parvis des Libertés et des Droits de l’Homme – Esplanade du Trocadéro. Le 26 mars prochain, cela fera deux ans que le Yémen est en proie aux bombardements indiscriminés de la coalition dirigée par l’Arabie Saoudite. A cela s’ajoutent les victimes innombrables de l’embargo que fait peser la coalition sur le Yémen. En février 2017, Antonio Gutierres, le nouveau Secrétaire Général des Nations Unies tire la sonnette d’alarme : plus de 14 millions de yéménites sont en situation d’insécurité alimentaire et c’est le pays entier qui risque de faire face à une famine sans précédent. Inutile de préciser que l’embargo, encore plus que les combats, est le principal responsable de cette situation car il interdit au Yémen d’importer la nourriture dont il a toujours été dépendant. 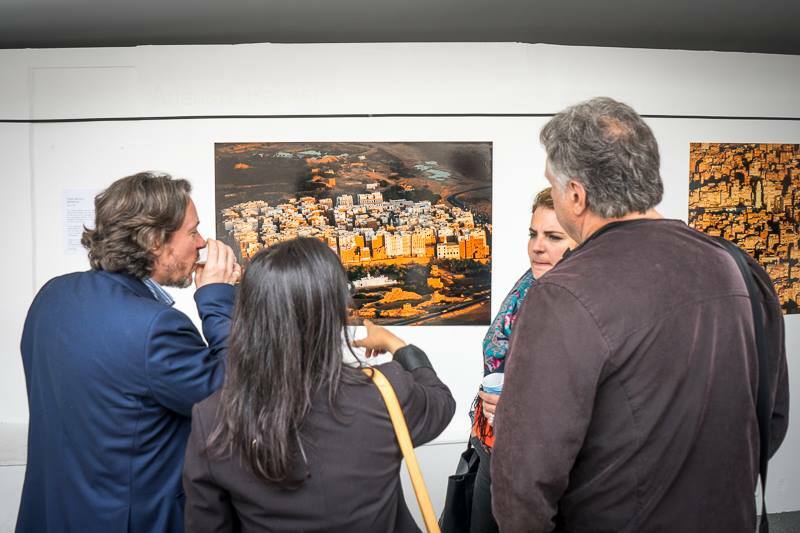 For more than a year now a Saudi-led campaign has indiscriminately attacked Yemen’s civilian population and killing thousands, injuring hundreds of thousands, destroying infrastructure, contaminating land through cluster munition, and ruining the beautiful heritage. Lacking access to drinking water, food, fuel and medication, the Yemeni population is suffering. According to International Law, the Saudi-led coalition is committing war crimes. So are some of the Houthi factions in Yemen. 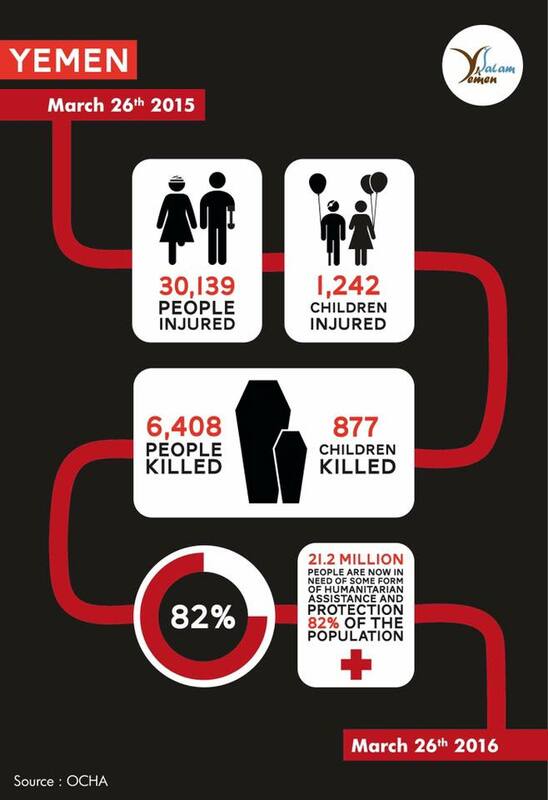 And on top of all that, there is a lack of solidarity/awareness for the suffering of the Yemeni civilian population. By letting out governments continue to arm the Saudi-led coalition or provide fuel for their planes, war crimes are being enabled. Many Western governments, US, France, etc are selling arms (including illegal weapons like cluster munition). 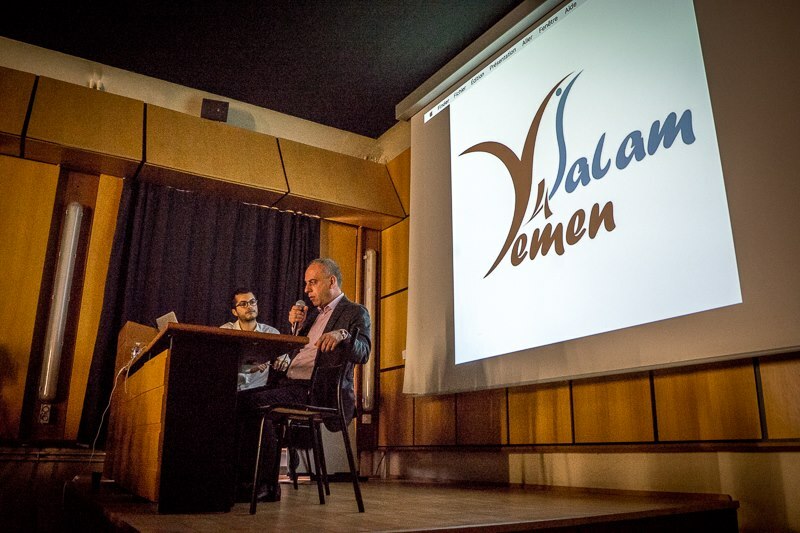 On Saturday, May 28th 2016, Salam For Yemen organized an event in Paris to raise awareness for the beauty of Yemen and the need to protect it, through exhibitions, film screenings, conferences, music and food. SFY is grateful for everyone who participated in the event and made it a large success. 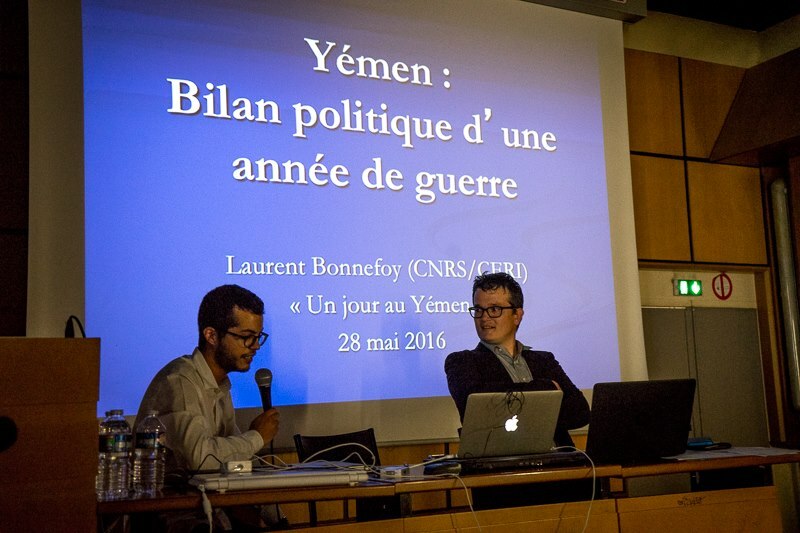 by Mr Laurent Bonnefoy Researcher in political science at the CNRS, CERI / Science Po Paris, currently deputy principal investigator of the European Research Council Advanced Grant. He specializes in the Arabian Peninsula. 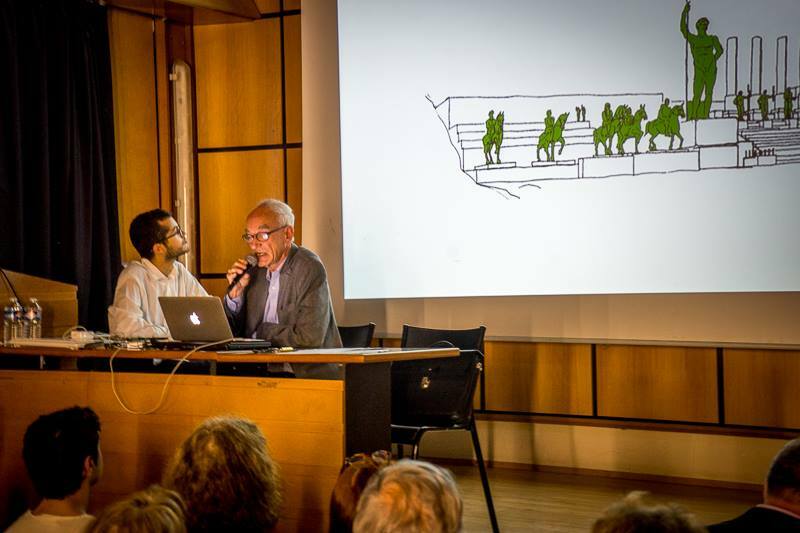 by Paul Bonnenfant Sociologist, former senior researcher at the CNRS, associated researcher à the IREMAM (Aix-en-Provence), works on traditional architecture mainly in the Arabian Peninsula. by Mrs Leïla Ali Aquil, PhD in archeology. 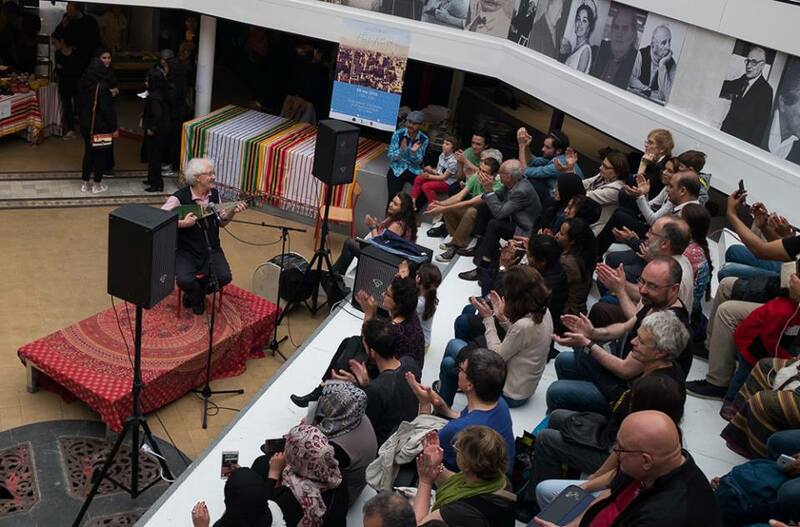 by Mr Jean Lambert, teacher/researcher in anthropology and musicology at Musée de l’Homme, Anthropologist and ethnomusicologist, permanent associated professor at the Museum National d’Histoire Naturelle of Paris, researcher at the Centre de Recherche en Ethnomusicologie . He is a former director of this center (2009-2014) and of the CEFAS (2003-2008). One Bomb. Many Targets: US blocks cluster munitions exports to Saudi Arabia. Humanitarian concerns about the Saudi Arabian military intervention in Yemen are creating more pressure on Saudi Arabia (KSA). According to an investigative effort by the US news magazine Foreign Policy, the White House recently decided to put a hold an all cluster munitions exports of the CBU-105 Type, fabricated by Textron, to the KSA. Thereby the US government indirectly confirms the accusations of international Human Rights organizations like Human Rights Watch (HRW) and Amnesty International (AI), which have been saying for months that the KSA is deploying cluster munitions near civilians in Yemen. Up until recently these accusations did not draw much attention onto them. Saudi Arabia, the second largest weapons importer, is an important client of the American, British and French arms industries. The USA delivered the last cluster munitions order for KSA between 2013 and 2015. According to international law the use of cluster munitions is illegal since the ratification of the convention against cluster munitions in 2010. Cluster munitions consist of a container, which upon activation distributes up tp 2000 sub munitions or bomblets over a large targeted area. Some of these bomblets fail to explode and thereby act as landmines that pose a serious and lasting danger to civilians, notably children. Although the USA never signed the convention, they passed a law in 2009 that prohibits the use of US-made cluster munitions by the recipient near civilians and that the failure rate (of unexploded bombs) needs to be below 1% to qualify for export. Ken Roth, director of HRW, tweeted recently that even the modern technology of Textron, used in Yemen, shows that even the most evolved cluster munitions have a failure above 1%. However, more dangerous are those cluster munitions the KSA has acquired over the years (since 1970) from Western arms industries. HRW and AI found a number of duds (unexploded munitions) manufactured in the US or the UK that were distributed by cluster bombs carrying approx. 650 sub munitions each and that have a failure rate of about 20%. HRW and AI were able to identify at least 54 casualties from cluster munitions in about 23 locations. 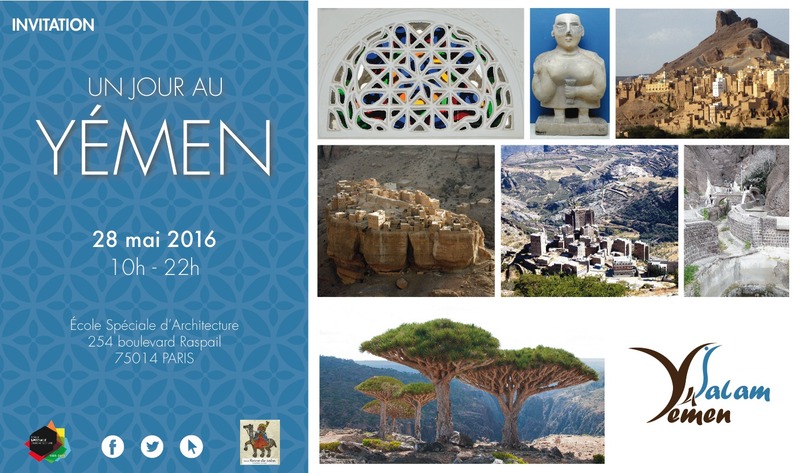 SFY is organizing a day for Yemen in Paris on May 28th to celebrate Yemen, whose people and heritage are in acute danger, and to raise awareness for a country in need for help and solidarity. 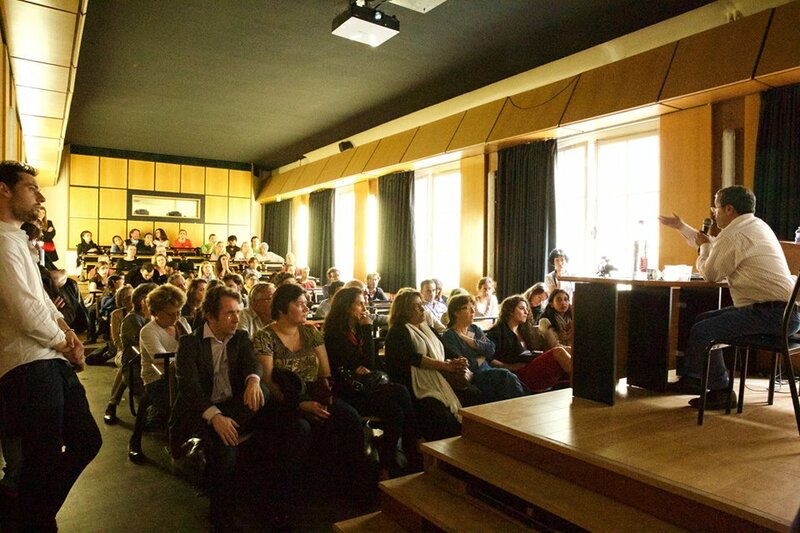 Come and see exhibitions, films, live music and experts debate at the Ecole Speciale d’Architecture on May 28th in Paris. 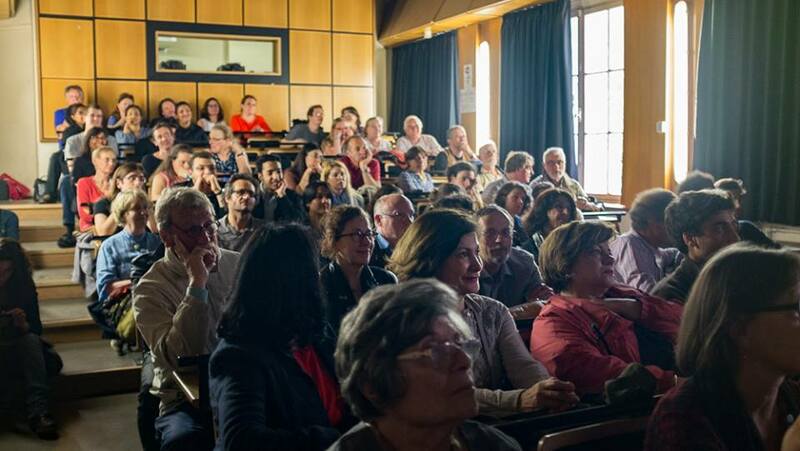 SFY organise une journée pour le Yémen à Paris le 28 mai pour célébrer le Yémen, dont les habitants et le patrimoine sont en danger, et pour sensibiliser les gens car le Yémen a besoin de votre aide et solidarité. 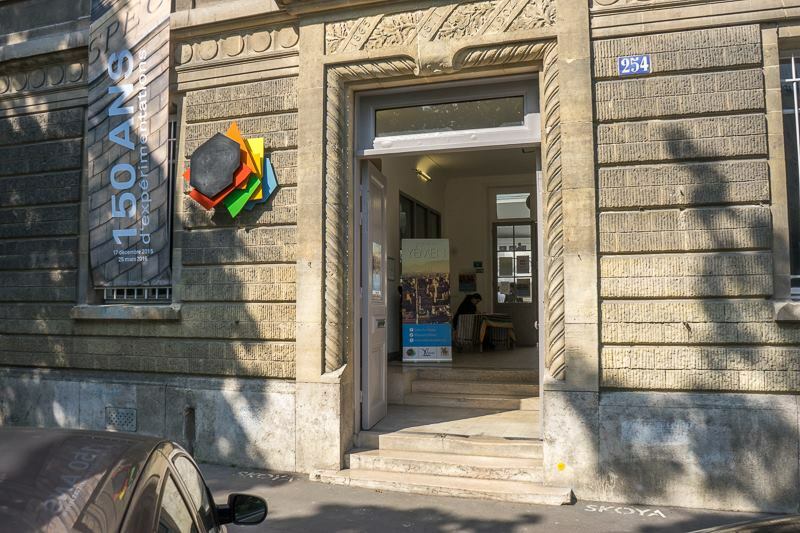 Venez voir des expositions, des films, de la musique et des débats et interventions à l’Ecole Spéciale d’Architecture le 28 mai à Paris. 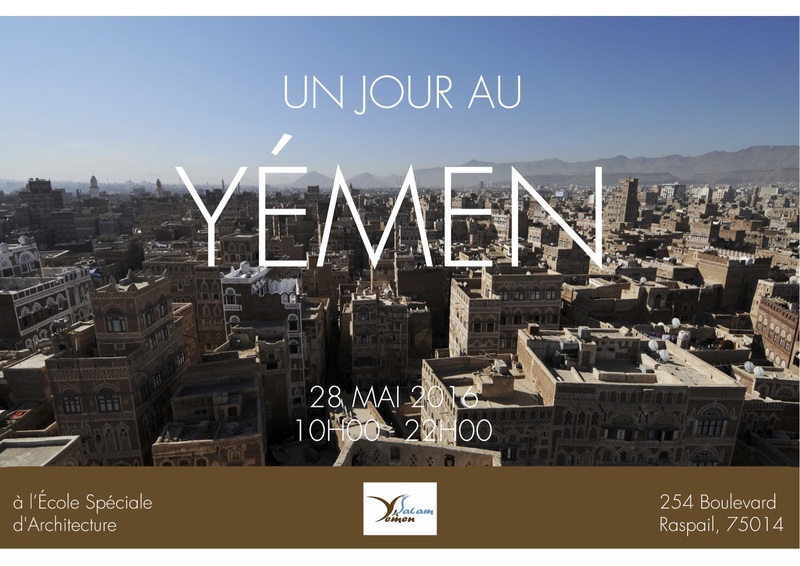 SFY is organizing a day for Yemen in Paris on May 28th to celebrate Yemen, whose people and heritage are in acute danger, and raise awareness for a country in need for help and solidarity. 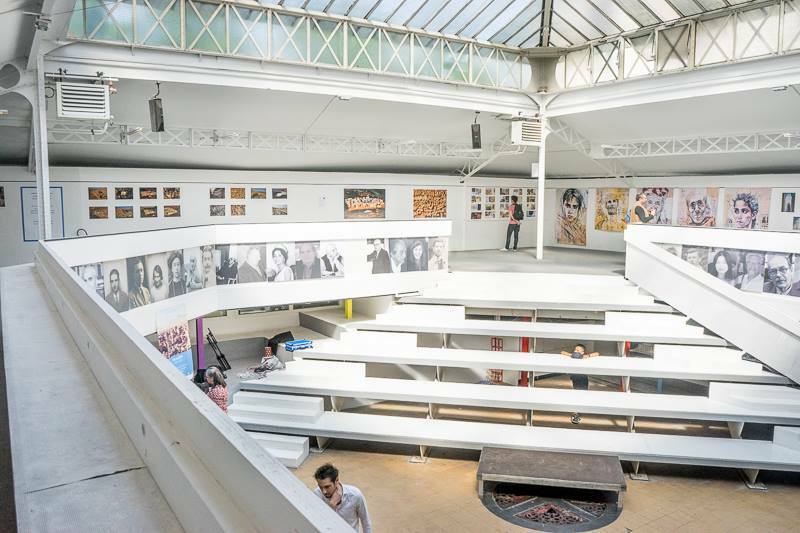 Come and see exhibitions, films, life music and experts debate at the Ecole Speciale d’Architecture.